"Lahat po nagustuhan ko. Lahat ay memorable po (I liked all of the roles I’ve danced. All of these are memorable to me)." John de Dios' reply to the query about his favorite role may sound rather vague; but once you find out his backstory, you'll understand why every role is a big deal for him. For starters, this danseur came to know of ballet only in his twenties. "I started talaga sa contemporary (I really started dancing contemporary)," reveals the Ballet Manila company artist. "My mom used dancing to discipline me. It was sort of a rehab for me. I was in high school then at dahil nga high school, I had this fear na nakakahiya ang ginagawa ko (I was in high school when I began dancing and because I was just in high school, I feared that people would laugh at the fact that I danced)." 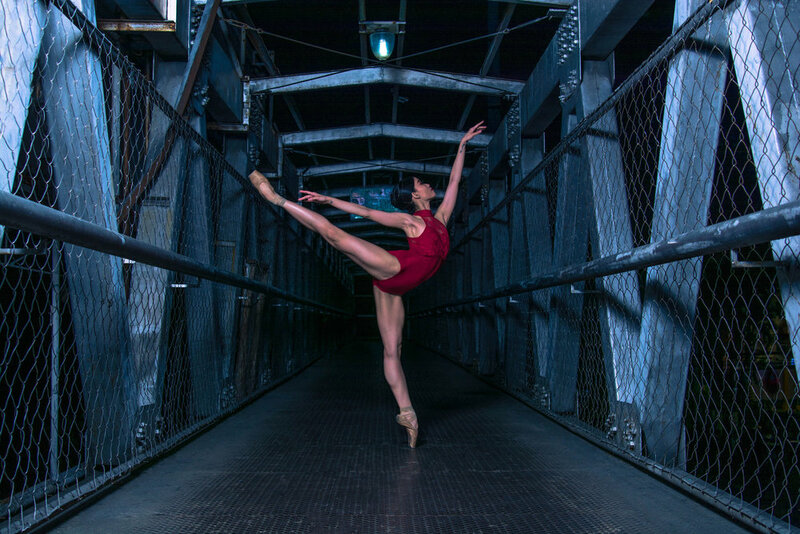 The Bacolod-born dancer continues, "I was already in college when I decided to get into ballet. I remember that I took a workshop in Steps and that's where I said, 'Parang gusto ko ito!' Pero ayun, may mga naririnig ako na masyado na akong matanda for ballet ('I like this dance!' But then I would keep hearing that I was too old for ballet)." How did he manage to get into BM then? John attributes his entire journey as a danseur to soloist Anselmo “Elmoe” Dictado who has a knack for recruiting talents. "Nakatira ako malapit kina Elmoe noon (I used live near Elmoe before), and I would hear stories about BM. So iyun, na-curious ako. Kinausap ko si Elmoe. Tapos nag-joke siya sa akin. 'Ano? Gusto mo ba mag-BM?' (So there, I became very curious about the company. I spoke to Elmoe, and he joked, 'So? Do you want to join BM?')." John confesses that he hesitated about accepting Elmoe's invitation at first. But upon realizing that the company might be his final chance to pursue dance, an activity he fell in love with, he went for it. "Sinabi ko na ito ang last shot ko. Na kung hindi mag-work out, babalik na ako sa Bacolod. (I told myself that BM is my last shot. That if it did not work out, I would head back to Bacolod)." 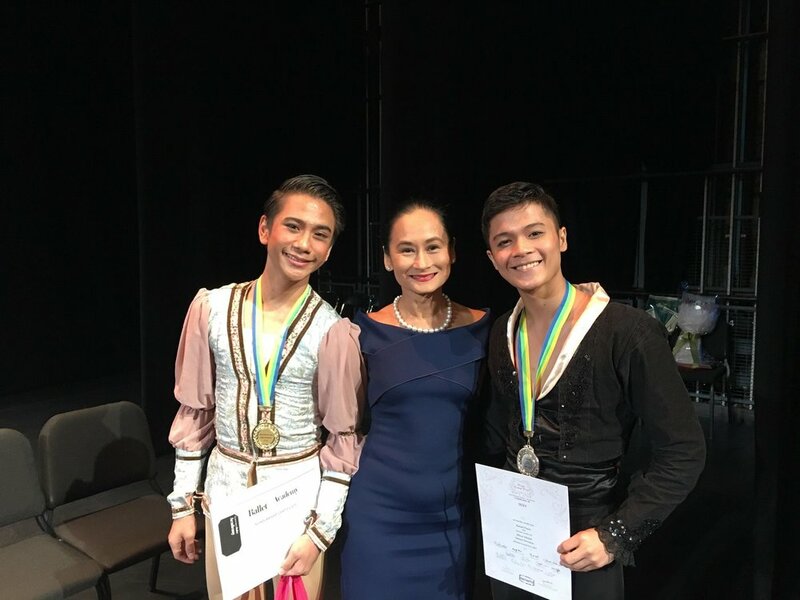 Like most BM danseurs, John's journey began with an encounter with the legendary Osias “Shaz” Barroso, hailed as “the ballerina’s prince” and the company's co-artistic director, who's responsible for grooming superb male dancers. The late bloomer notes how unforgettable that moment was. "Sabi ni Elmoe, 'Sir, ‘yung kaibigan ko po gustong mag-BM.' At ang sabi ni Sir Shaz ay 'Sige, pa-klasehin mo!' Sobrang cold niya. Kinabahan agad ako (Elmoe approached Sir Shaz and said, 'Sir, I have a friend who would like to be part of BM.' Sir Shaz replied, 'Then make him attend a class!' He was very cold about it. I was very scared to attend a class)." Being trained in contemporary dance, John's first class in BM wasn't only nerve-wracking, but it also took a physical toll on him. "Naalala ko na nagkasakit ako the next day, (I remember that I got sick the following day)," he laughs as he recalls the experience. "Sobrang harsh ‘yung klase! Sabi nga ni Elmoe na nahalata agad nila na wala akong training (The class was really harsh. Elmoe told me that they immediately spotted that I had zero ballet training)." What may have been a discouraging experience for some people only motivated John to learn the right techniques and to take classes very seriously. "When I first started, lagi akong nasisigawan ni Sir Shaz. Pero ito po ang nag-push sa akin. Ang lagi kong sinasabi ay kailangan gumaling ako, kailangan gumaling ako (When I first started, Sir Shaz would always yell at me because I would make a lot of mistakes. But this is what pushed me to become better. What I would always tell myself was, I need to get better, I need to get better)." Thankfully, inspiration was all around him as BM has plenty of amazing male dancers, whom John – until this day – applauds and learns from. "Batak na batak sa classical talaga at maraming magaling (They really are masters of classical ballet; and many of them are superb at what they do)," comments our subject on the company's male force when he first encountered them. "Nandoon si Kuya Niño (Guevarra), si Kuya Rudy (de Dios), tapos noong nag-start ako, si Sir Geri (Francisco). Sobrang galing niya talaga. Tapos, 2012 ‘yung unang dating ni Misha (Mikhail Martynyuk, BM’s guest artist). Nakanganga na lang ako kapag sumasayaw siya (There was Kuya Niño, Kuya Rudy, and then when I first started, Sir Geri. He was really so good. 2012 was also the year when Misha first came here. I would just gape every time I would see him dance)!" It's at this point that John, who comes across as very serious and formal, unveils his frisky side. The guy isn't afraid to go on fanboy mode, especially when the topic is on the company's danseurs. Moreover, he's more than willing to speak of his many embarrassing firsts. It must be noted that our subject is not your typical fanboy, as he doesn't watch solely for the entertainment. While watching others, he would learn and memorize the steps and combinations of roles that he himself has not been assigned, and would even study the way his fellow dancers would interpret their roles. "’Yung artistry talaga yung pinag-aralan ko. Dati, wala talaga ako niyan (What I really had to learn was artistry. This does not come naturally to me)," explains the male dancer. "Natuto na lang ako along the way (I just learned artistry along the way). I would study how they did the mimes, how they looked when they did it and the pacing." From being placed in the last rows during performances, John, due to his unwavering determination, soon found himself moving forward literally and career-wise. "Ngayon, nilalagay na ako sa front row at hindi dahil sa height (These days, I'm often positioned at the front row and that's not because of my height)," he laughs. "Na-feel ko rin na nag-i-improve ako kasi ako ‘yung sinasabak sa mga soloist roles kapag may na-injure (I also felt that I was improving because whenever a soloist deals with injury, the company would assign me to dance that role at the last minute). I guess that means that they trust me now. In BM, I really started from the lowest and just moved up. I am very thankful that BM gave me a chance." He then switches back to his less serious mode: "At gusto ko ‘yung mga kasama ko dito. Lalo na ‘yung boys. Parang isang grupo lang kami ngayon! Masaya! May mga boys’ night out kami (In addition, I really enjoy the company of my fellow dancers. Especially the boys. The male dancers right now form one big group of friends. It's really fun! We would even have all-boys’ nights out)!" The fun is even present backstage. The danseur reveals that they would joke with each other about entering the stage with a piece of costume or prop missing. "Noong Snow White, naglolokohan na kumpleto nga ang damit pero paglabas sa stage, wala palang suot na mask para sa dwarf (I remember during the Snow White production, there were jokes about being all-confident that no piece of garment or prop is missing. Only to find out that one danseur came out on stage without putting on the dwarf mask)." Not ever wanting this to happen to him, John confesses that he has become very paranoid about his costume. "Kahit nakapa ko na at alam kong kumpleto na, after every five minutes, kakapain ko pa rin ang buong katawan ko (Even if I have inspected every part of my body and know that I have every piece of my costume, after every five minutes, I would still inspect everything to see if my costume is complete)!" Despite their playful nature, John assures that he and the other male dancers live by Sir Shaz's words: Take class well! "Sabi niya na para sa amin rin ito. Sa klase talaga ang start ng lahat. Dito na-pe-prepare ang body and mind para sa performance sa stage (Sir Shaz explained that taking class seriously is for our own good. Everything begins in class. Classes prepare the dancer's body and mind for the performance onstage)." Going back to the topic of roles, John notes that although every role he has portrayed is of great importance to him, he looks forward to more opportunities. He, for example, would love to dance the full-length Don Quixote. Though John, who entered the company in 2012, has shown a great deal of patience in learning, he stresses that in order to keep moving up, a dancer needs to really commit. "Pwedeng patient ka, pero kung wala kang commitment, wala rin. Dapat gawin mo talaga (You can be patient, but if you're not committed to what you do, then your patience is useless. 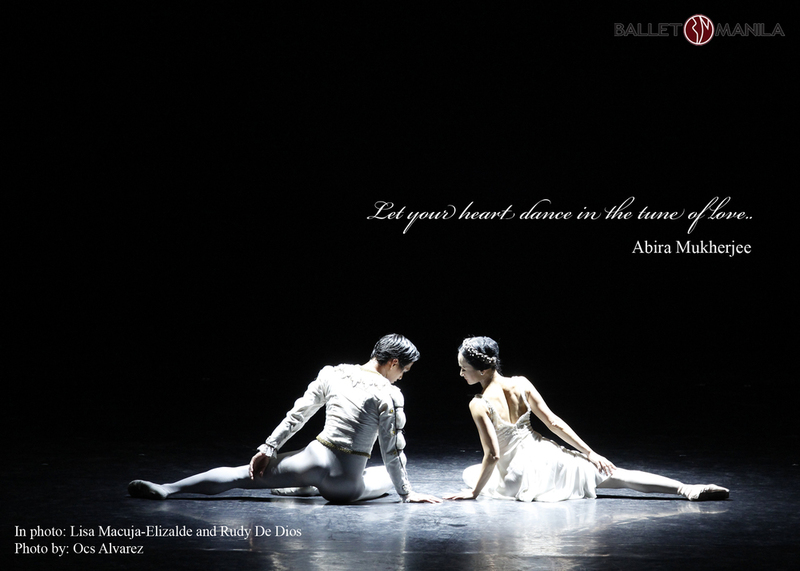 To succeed in ballet, you really have to do the work that's required of you)!"